A time management log diagnoses your time management problems. If you want to use your time more effectively and you don’t know how you currently spend your time, then getting better at time management can be like trying to 'pin the tail on the donkey'....a very hit and miss affair. If you don’t have the time for this 'hit and miss' approach then a time management log (aka 'activity log') could be helpful. A time log shows you precisely where to improve your time management. But tracking your time has got a bad rap lately! Because people are told to track their time and then not told what to do afterwards. But tracking time is not time management! Tracking your time is little like keeping a household budget. When you keep a household budget you know where you are spending your money. If you want to save for something big, a budget helps you to identify those areas in which you can trim your expenditure and save more. Well the same goes for your use of time! A time log gives you objective data to examine how you spend your time and where you can save time. 1. Record all activities as they occur. Record all interruptions, trying to give as much detail as possible.Do not rely on your memory to fill in the log at the end of the day as this reduces the accuracy of the process. 4. Keep a log for a minimum of 5 days. You can keep the log for shorter if each day is similar. However you are trying to get a map of the way that you are using your time for a regular (if there is a regular) work week. 5. You can keep your log for work only. However, I have found that better gains can be made by including work and home time. 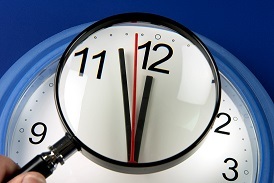 Keeping a time log can be tedious and for some time tracking software may be better. I review some software that is light on the wallet (i.e. free) and does more than run in the background and record your time on different tasks. Now it is time to put your use of time under the microscope and see where you can make more use of it. You can ask yourself these three questions! 1. Are you being productive and effective? Pick an ordinary day for which you have kept a time management log. Add up the time that you spent on priorities A, A*, B, B*, C and C* tasks. Am I spending too much time on unimportant things or too little time on important things? To be most effective you want to spend most of your time in the priority A area. This is because these tasks generate the greatest returns on your investment of time. 2. Is your productivity unsustainable? We often think that working longer is the only way to get more done with less. This sacrifices our time with our family, the pursuit of our health, and our overall balance. When reviewing the activity log examine how much time is spend in the 'star' and 'non star' categories. This will give you an idea of how much time is spend on urgent activities that may impact on your overall stress, well-being, and quality of your work. The above two points can be examined by reflecting on the four quadrants that was used by President Eisenhower and popularized by Stephen Covey. 3. Are you doing the right activities at the right time? What activities are you doing in your high energy areas? Are you doing activities that are value-adding and important to you when you are most alert? Here we are looking for a mismatch between when your energy levels and activities. checking email first thing in the morning when you are most alert. If emails are not your main game (and for most people it is not) then there is a potential mismatch. if you are doing your high impact, big thinking activities after lunch...well sorry to say...but the Spanish have it right by having a siesta at that time. If possible it is worth trying to schedule quick wins or low value tasks into this area. For each task, ask yourself, "Why am I doing this? ", "Why do I need to do this?" or "Is this the right time to do it?" Some people love them others hate them. Share your story about filling out a time management log!